Are you ready to discover the "obvious" secrets behind business success? I'm very excited for you. You're about to receive a 100-year-old business classic that has launched lucrative careers and invigorated stagnant enterprises. 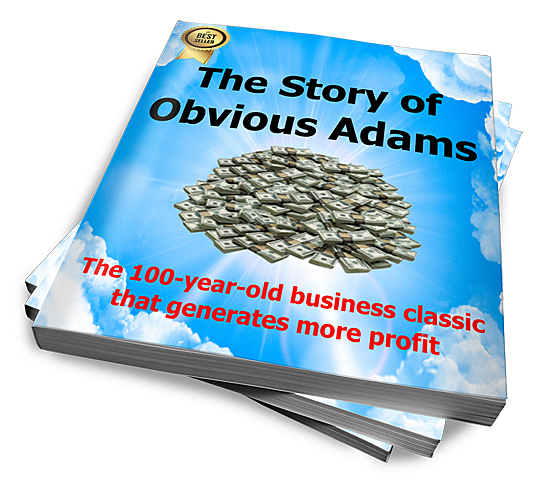 The Story of Obvious Adams is a business fable - but it is no fairy tale. In just 14 pages it illustrates how a simple man - who could be any of us - used the plain skills of analysis and problem solving to rise to the top of the advertising field. How to get the job you want in a single day! How to make a massive impact at work. How to give yourself a promotion! How to be ready for your opportunity. How to solve different kinds of problems. 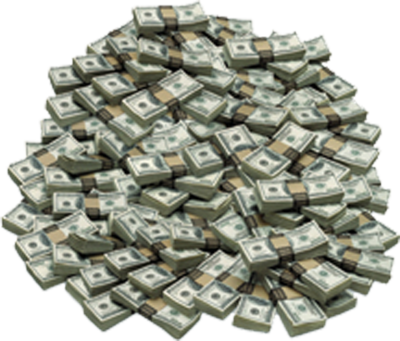 How to make a fortune doing the obvious! How to get paid doing what others won't (or can't)! All you have to do is confirm your email address when you get the notice in your inbox. Are you overlooking the obvious in your business? You will start looking for the obvious solution to your problems! Not the fancy solutions - and definitely not the complicated ones. Instead you will always be looking for the most efficient - and effective way to accomplish what you have set out for yourself. So when you come away from reading The Story of Obvious Adams you may be wondering how you can also learn how to write effective copy that turns prospects into paying customers. And you might ask yourself what is the most obvious way to do this. The surprising answer is also simple - and effective. In order to write advertising that sells, it's obvious you might want to study advertising that has been proven to sell billions of dollars worth of product. And yes, you can buy lots of books. Or spend hours scouring the internet for "swipe files" that you'll mean to study ... but for which you might never have the time. What if 100 years of proven advertising success was already assembled for you? Or you could learn from examples of successful advertising the obvious way. You could decide to get access to our collection of Classic Sales Letters that haven been pre-recorded for you - over 6 hours of material - and simply listen to the persuasive words that have been proven to work - for over 100 years! There are 86 Classic Sales Letters in this collection - all in MP3 format that you have access to when you become a member. When you listen to them, over and over, you will learn the secrets of copywriting in the most effective way possible - through your subconscious mind! You can get access to this collection by clicking here. P.S. : Make sure you use the button below to download your free copy of The Story of Obvious Adams. Click Here to Download Your Free PDF Now!